Ms. Andrea Polyak, Owner and Teacher started dancing at 2 years old and at the age of 12, started helping in dance classes here & there at the studio she attended. When she was 17 years old, Andrea was asked to be an Assistant Teacher in a baby comb class for ages 3-5 years old. She learned so much about teaching little ones from the main teacher that year that it inspired her to be a teacher. Andrea grew up dancing at Bridget McCarter Dance Academy in Gilbert. She competed at state & national levels with Tap, Jazz & Lyrical. 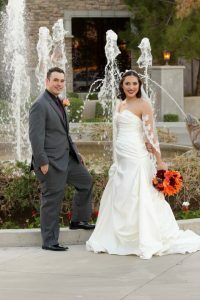 She also performed all over the East Valley at community events. Andrea & her younger sister would spend about 15-20 hours a week at the studio dancing for the simple fact they loved dance! Andrea’s favorite type of dance is Tap, performing & teaching it! Looking over the past 22 years of teaching dance, Andrea really didn’t think this would be her job! Yet, she really doesn’t like to call it a job more just making a positive influence in a young person’s life. Andrea also taught with the Town of Gilbert Park & Recreation in 2000 and you will find that most of the classes that are still running today are the ones that she & her sister started. From the Tiny/Mini tumbling, Fun & Fitness & Fairy Ballet! She spent about 4 years with town teaching before she had her boys. 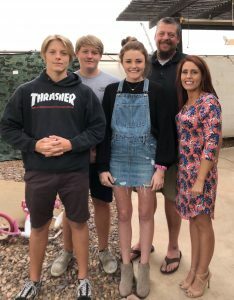 After that Andrea stayed home with her boys since they are close in age and still ran a small dance program at the Las Sendas Community in Mesa one day a week. This program has been on going for the past 18 years! 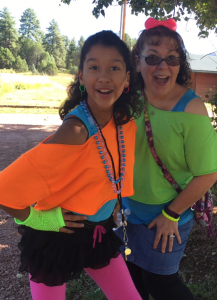 In addition to her love of dance, Andrea was a volunteer for Girl Scout for 16 years, where she was a busy, hard working Troop Leader, Neighborhood Cookie Manager, Council Cookie Cupboard, Product Advisory Board committee member and a Gold Award board member. 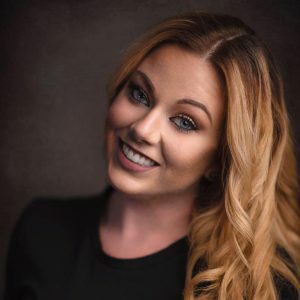 Ms. Anna Compton, Ruby Dance Co., Ballet, Hip Hop and Tap Teacher was born and raised in Orange County, California and began dancing at the age of 3. 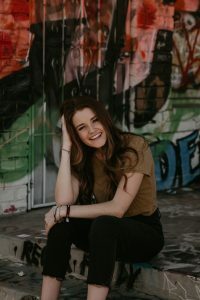 She received the majority of her training at Pacific Dance in Irvine, CA, where she studied tap, jazz, ballet, lyrical, modern, contemporary, and hip hop. She was a member of the award winning Performing Group competition team for nine years which competed all over Southern California. She won a multitude of overall awards for both solo and group routines. Anna continued to dance throughout high school as a member of the song team at El Toro High School in Lake Forest, CA. She competed on the state and national level as a member of the varsity competition squad, which competed in pom and jazz. While in high school, she also began substitute teaching at Pacific Dance at the request of her instructors. She taught all ages and styles for both regular and competition classes, sharing her passion and experiences with the next generation of dancers. Anna continued her dancing career while attending Northern Arizona University. She was a member of the Badjacks Dance Club, performing and choreographing for club events. She introduce tap to the club and helped to choreograph one of the first tap routines. Anna is excited to continue to share her passion for dance and help the next generation to grow. 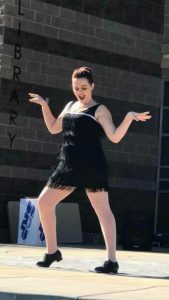 Ms. Danielle Butterfield, Clogging and Saturday Teacher was Born and raised in Chandler, Arizona and moved to Queen Creek with her husband in 2013. Ms. Dani started dancing at age 3 with the City of Chandler and went on to dance with Arizona Dance Academy and then Bridgette McCarter’s. Dani has performed at many fairs, parades, and recitals. As an adult she danced at Dance Element in Gilbert from 2009 to 2017. Danielle has a passion for both tap and clogging, and is excited to share her passion not only with her daughter, but the community. Coach Hailey Pickett, Acrobatic Arts Coach was born and raised in Arizona and has lived in Queen Creek since 2007. She was a cheerleader for Combs High School since the 8th grade, Co-Captain her senior year in 2016. She’s been coaching gymnastics and tumbling for 4 years now. She loves having the opportunity to bring tumbling and acrobatics to her community and share her passions with her students! When she’s not coaching she’ll be raising her baby girl, who we’re expecting this March! Ms. Kate Wright, Debut RDC, Ruby Dance Co., and Adult Tap Teacher grew up and began dancing at the age of 3 in New Jersey. She relocated to Virginia during middle school and continued training in the Richmond area as well as her high school dance team. Kate opened her own studio in Richmond in 2009, and continued to run, operate and teach for 9 successful years. She has taught hundreds of dancers in tap, jazz, ballet, contemporary, hip hop, pointe, and stretching and technique. Her choreography has been recognized on the east coast at numerous competitions for entertainment value and creative choreography. Kate moved to Arizona in the summer of 2018, where she continues to teach in the Phoenix area to share her passion and love for dance with the next generation! Ms. Cassidy Millican, Assistant Teacher is currently a senior at Combs High School, and has been dancing with 8*Count Dance for three years. She has also danced for Dance Matrix and Combs High School. Cassidy has been dancing since she was five years old and her favorite type of dance is Tap. She has also studied jazz, ballet, lyrical, contemporary, and hip hop. Coach Sydney Pickett, Acrobatic Arts Assistant Coach, was born and raised in Arizona and has lived in Queen Creek since 2007. 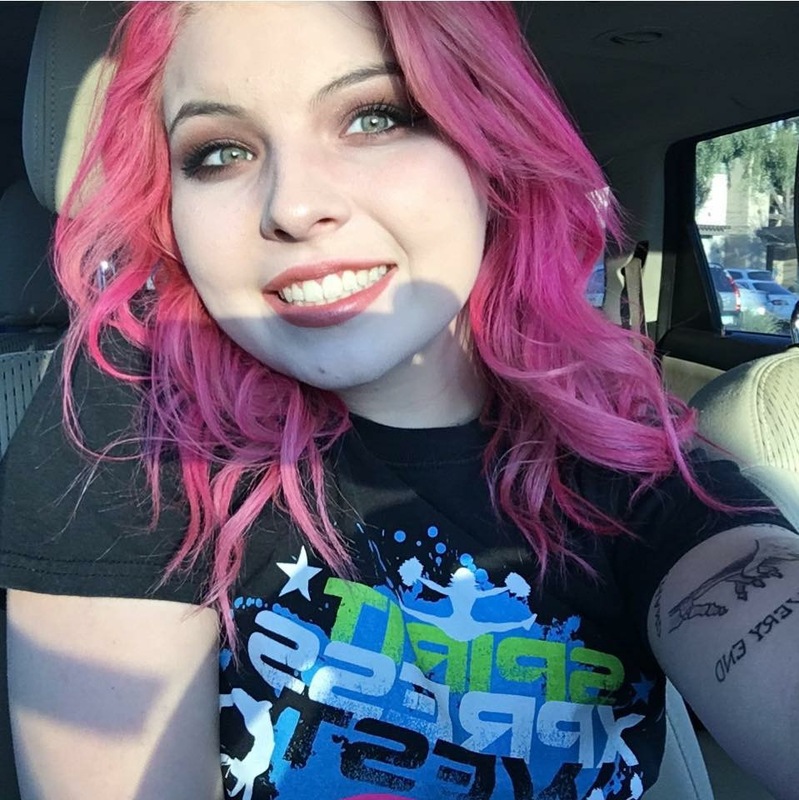 She was a part of Queen Creek High School’s Theatre as a dancer and performer. She is currently enrolled at CAC to major in Education and minor in Performing Arts. She loves to volunteer at ALA elementary school and is excited to be a part of the tumbling and acrobatic community! When she’s not coaching she’ll be enjoying time with her daughter Ella! Ms. Adrianna Polyak, Cheer, Tap and Jazz, has been dancing since she was two years and three months old! Adrianna starting dancing at the Gilbert Park & Rec, Bridget McCarter Dance Academy in Gilbert then moving to Queen Creek to dance with K&K Dance Studio & KKDC, plus dancing with 8*Count Dance. She has been trained in Tap, Jazz, Ballet, Hip Hop, Contemporary, Musical Theatre and Tumbling. Over the years she has competed at numerous competitions thought out the Valley and performed in Disneyland a few times. Many of the dances received Platinum, High Gold or Judges Awards. Adrianna was awarded “All Star Dancer” with her “Human” Tap Solo at the Hall Of Fame Dance 2011 and was invited to dance at Nationals. In 2012, with KKDC, the company was in invited to New York for “All Stars” week. They took master classes at Broadway Dance Center, with Radio City Rockettes and cast of Broadway Shows. Adrianna tried out for the Tap 24.7 Company & preformed in the production “In the Pocket” in 2014 and “Tap My Sole” in 2015 for National Tap Dance Day In May. In 2014, competed at Step Up 2 Dance, received a Platinum and 2nd over all for high scoring for her Tap Solo, “In My Pocket”. In 2015, competed at Step Up 2 Dance, received High Platinum and 3rd over all for high scoring for her Tap Solo, “Love Yourself”. At the same competition, Adrianna also received a Platinum for her Contemporary Solo, “Roll Up Your Sleeves”. As a incoming freshmen, Adrianna made the Varsity Pom Team at Queen Creek High School and was on the team all four years in High School. Adrianna was Varsity Pom Team Captain for the 2015-2016 Season. Being the Captain of the Varsity Pom Team, she was invited to apart of Varsity Sprint Spectacular, where Adrianna performed in a parade throughout the streets of Disney World. She was in Student Council at QCHS, as Junior Vice President 2014-2015 and Senior Class President 2015-2016. Adrianna graduated from Queen Creek High School in May 2016. In 2014, Adrianna competed in her first state pageant with America U.S Miss, she was crowned 1st runner as Junior Miss Arizona 2015. As 1st runner, she was able to be apart of their Ambassador Program and able to go to Nationals to competed for a National Ambassador title. In July 2015, she competed in here 1st National pageant and was crowned America’s U.S. Junior Miss 2015 Ambassador. In October 2015, Adrianna competed in her 2nd State pageant and was crowned Junior Miss 2016 with America’s U.S Miss. During the 2015-2016 year of balancing a National and State Crown, Adrianna was able to log 400 hours of community service and 50 appearances. She collected 2,000 pairs of shoes for Fund2org.com, Make-A-Wish Walk, Relay for Life, Feed My Starving Children just to name a few. Adrianna visited numerous Girl Scout Meetings, Events & Cookie Kick Offs across the state, speaking about goal setting and cookie sales. In July 2016, she competed in her 2nd National Pageant and was crowned America’s U.S Junior Miss 2016 and America’s U.S Miss Royal Wish. Adrianna is a Life Time Girl Scout Member and earned her Gold Award in January 2016. The Gold Award is the highest award a girl can earn in Girl Scouts. Adrianna is a currently a Junior at Grand Canyon University studying psychology and she is on the Dance Team. She also enjoys being a Barista and Social Media Coordinator for Grand Canyon Beverage Co., a coffee shop on campus! 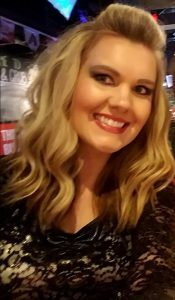 Perri Davis, is a dedicated dance mom, part time administrative assistant for 8*Count Dance and a part time preschool special education para-professional. She lives in Queen Creek with her husband and two daughters. Perri spends a lot of time at the Queen Creek site while her girls are in dance class. She’s also an Adult Tap student. Say “hi” if you see her!